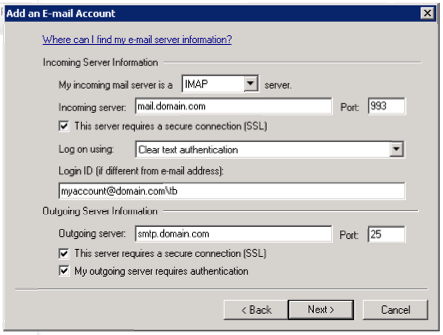 Migrating Mail and Contacts from Hotmail to Zimbra | What a n00b! 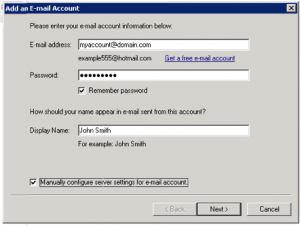 For anyone wanting to switch their email address from a free hotmail account to a Zimbra mail account without losing any email the switch can be made quite easily. You'll need a Windows installation and your Hotmail and Zimbra account info to get started. You can also find info on migrating out of Zimbra Desktop and into an IMAP server here. Hotmail does not offer POP or IMAP access to its free accounts any longer, so we'll need to use the offline client from Microsoft as the go-between to transfer the mail. First, download the Windows Live Mail client and install it. 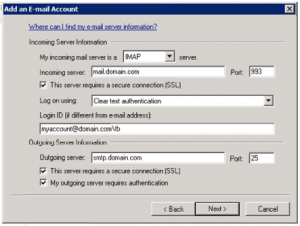 Setting up Windows Live Mail to sync with your Hotmail account is fairly straight-forward, or instructions can be found here. Next, you'll want to add the Zimbra account you want to migrate into. At the main page of Windows Live Mail and on the left-hand side of the window you will see a button that says "Add e-mail account" at the bottom of the list of folders. When you click on that, it will bring up the "Add an E-mail Account" wizard. In the first screen you can fill in the account information and check the box that says "Manually configure server settings for e-mail account." After clicking Next, you will fill in the settings for the mail server. The mail server, ports, and other info you will need to find from your email server administrator, but be sure to use the full email address followed by "/tb" for the username. This will cause Zimbra to set the correct timestamp in the mail listing after the import. Click 'OK' on the folder selection window. For the mail portion of the migration, you can simply "drag-and-drop" the mail items from the Inbox of your Hotmail account in the list on the left to the Inbox (or appropriate folder) on the freshly created Zimbra account. To do this, you can select the top message, scroll to the bottom, hold down shift and click the last message to select all and drag them in to the new Inbox. The transfer may take some time depending upon how much email is in your account and the speed of the connection to both of the servers. 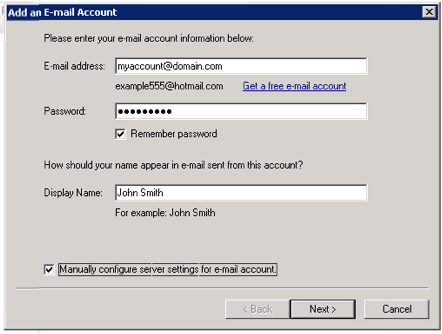 To export the contacts out of Hotmail, you can click on the "Contacts" button on the bottom-left of the Windows Live Mail window, click the menu button in the contacts window, select "Export" and click on "Comma Separated Values (.CSV)". In the CSV Export wizard window, click on browse to select a location and filename to export the contacts to and click Next.Be sure to select all the fields (a lot of the fields are not exported by default) and click "Finish". It will then dump a csv file of your contacts to the location you specified. Log into your Zimbra account on the web interface. Navigate to the Preferences section and go to the Import/Export tab. In the import section of the page, select "Contacts" as the type and select "Outlook contacts" in the drop-down menu. You can then click on "Browse" and navigate to the file you created earlier and select it. Next, click on import. It will ask you which contact list to import into. Select the contact list you would like and click on "OK". If everything goes well, you will see a green box appear saying that the import succeeded. If you navigate over to the Address Book section of Zimbra you'll see your newly imported contact list.